Drawing on interviews conducted in 2018 with support from JUSTRAC, ROLC Visiting Fellow Fiona Mangan examines the intersection of security sector reform (SSR) and organized crime in this report, which offers insights and practical recommendations for those who fund, design, and implement SSR programs in post-conflict environments with organized crime dynamics. Examining Northern Ireland and Bosnia and Herzegovina as case studies, the report draws lessons that relate to those specific contexts, as well as broader lessons with ramifications for programs related to SSR and combating organized crime in general. SSR has been a principal aim of post-conflict peacebuilding and rule of law programming since the 1990s. The goal to reform security institutions in order to increase civilian oversight, heighten accountability and transparency, strengthen the rule of law, and, above all, to promote human security is indeed admirable in theory, although difficult to achieve in practice. Ideas about SSR continue to evolve, with longstanding SSR efforts providing important insight for those seeking to improve programming and responses. One area that has been overlooked in this vein is the connection between organized crime and SSR. The role organized crime plays in conflict and post-conflict settings is increasingly acknowledged in post-conflict peacebuilding and rule of law discourse. Organized crime, once thought to be the preserve of specialized criminal organizations, is progressively recognized as a funder and driver of conflict. Further, there is a growing acceptance that organized crime is a dynamic actor in post-conflict settings, as well. 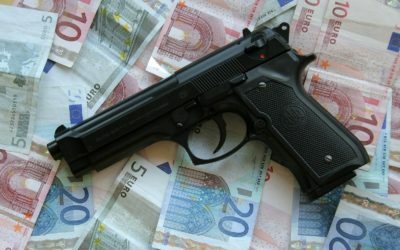 Despite the emphasis placed on SSR as a means to stabilize post-conflict settings and the significant role organized crime plays in shaping the post-conflict landscape, little direct analysis exists regarding the relationship between SSR and organized crime, how these two concepts work in tandem, and how they impact each other. Organized crime is an unfortunate reality in post-conflict spaces that practitioners should be keenly aware of regardless of whether programs pertaining to organized crime are implemented during the peacebuilding process. The timing of addressing organized crime in SSR programs is key; while organized crime is generally tackled in the mid- to long-term phases of peacebuilding processes, in some circumstances states would benefit from immediate attention being given to organized crime. The study recognizes that considerations regarding timing, however, often must be balanced with the realities of the peace process. Careful consideration should be given to the potential for instability by addressing organized crime on the one hand with the longer-term negative impacts on the rule of law and corruption if left unaddressed. If the decision is made not to tackle organized crime as part of the peacebuilding process, there may be potential consequences that practitioners will need to plan to address at every level of SSR programing including a timeline for how and when organized crime dynamics will be addressed. Organized crime needs to be taken into consideration at all levels—from the diplomatic level to strategic program design and intervention decisions, to the senior leadership, to the practitioner. A better culture of analysis needs to be developed regarding organized crime in the peace process, particularly in the early stages to determine when and how to address organized crime in SSR and police reform programs. SSR should be more closely coordinated with disarmament, demobilization, and reintegration (DDR) efforts to maximize effectiveness in addressing organized crime. To address organized crime, changes to the police culture and structure are needed beyond community policing models. In particular, there should be less hesitancy to build the intelligence capacity of police forces.